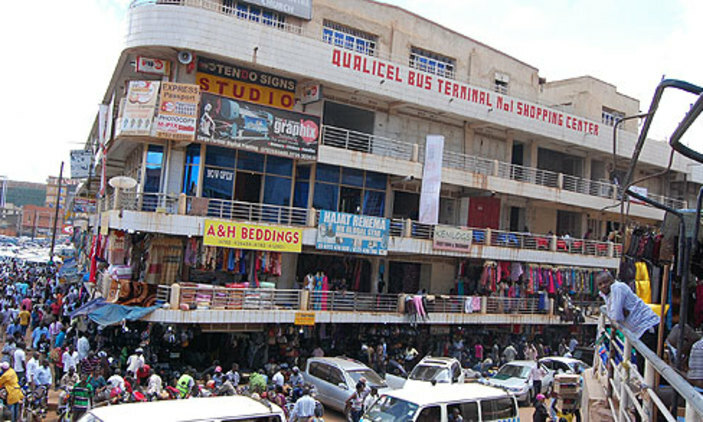 KAMPALA – Traders operating from Qualicell building in downtown Kampala have asked government to intervene over constant closures of their shops by owner Drake Lubega. The traders on Wednesday morning found their shops closed on the instructions of Mr Lubega who accuses them of failing to pay rent to him. The angry traders staged a protest only to be blocked by the police backed by UPDF, with some detained. However, Mr Ibrahim Mbowa, the vice chairperson of Kampala Arcaders Advocacy Forum, said Mr Lubega has adamantly refused to listen to their pleas of peacefully addressing the standoff. “We want the government to come up with a clear statement about this building and to show us the real owner of this building. Mr Drake Lubega should also compensate the owner of the shop at Qualicell bus terminal that caught fire as they were sealing the doors,” Mr Mbowa said. The traders claim that Mr Lubega wants them to pay rent from November last year up to February this year yet they had already paid the money to late Charles Muhangi from whom Lubega reclaimed the building. They said that Lubega has given them 15 days’ ultimatum to pay the rent for the month of March or they be evicted. On Tuesday, 292 traders dragged Mr Francis Drake Lubega and Mr Mansur Matovu to court, seeking compensation over alleged losses occasioned as a result of the continued persecution. The group in their law suit filed before the High Court Civil Division in Kampala contend that on November 5, 2018, the Constitutional Court ordered that the management of Horizon Coaches Limited led by the late Charles Muhangi take over the management of Qualicell bus Terminal, Nabukeera plaza and Jamboree Arcades. They said the management of Horizon Coaches made structural changes on the suit premises and also changed names of two buildings from Nabukeera Plaza and Qualicell Business Terminal to Horizon City and Bazanya N’engo plaza respectively and where told to pay Shs1.2m as tenancy registration.